Cincinnati, Ohio — A colorful line graph creatively displays third-grade reading results throughout the county, showing just over 52 percent of students reading on level in 2014. With a couple of clicks, a parent, community leader or district administrator can break down the data by racial or cultural segments; by hovering over each line, a pop-up box reports historical data and progress. With data analytics, schools and districts, local place-based nonprofits and collective impact partnerships can easily view and analyze local education data and create interactive presentations. And that’s exactly what StriveTogether and Tableau Foundation hope to help with through a new partnership and fellowship program for the Cradle to Career Network. The fellowship will help 15 communities effectively use and visualize local education data to advance collective impact work to help more students succeed. With Tableau, the communities will be able to easily create interactive data visualizations to share with partners or publish to their websites with a few clicks. The software also can be used to help make data accessible in real time for all education partners throughout a community. 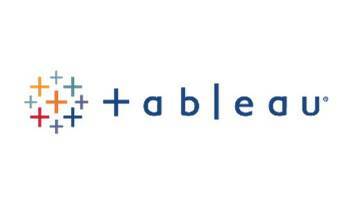 Tableau, a global leader in rapid-fire, easy-to-use business analytics software, will provide almost $300,000 in software, funding and training to 15 StriveTogether Cradle to Career Network partnerships. Fellowship participants will work with Tableau experts from the field and connect with each other through an online portal space and discussion forum. InterWorks, a Tableau partner, also will offer $49,000 in pro-bono training to participants. Every StriveTogether Cradle to Career Network partnership selects and reports on core indicators that help their community understand collective progress toward shared community-level outcomes. Through evidence-based decision-making and continuous improvement, partnerships use data regularly to better their work and help more students succeed, by identifying achievement gaps and tracking educational progress. Partnerships selected for the Tableau fellowship, which will last through June 2016, will be announced in October, following the sixth annual StriveTogether Cradle to Career Network Convening. The convening will bring together more than 350 community leaders from across the country on October 7-9 in Minneapolis, Minn.